When US covert operative Aaron Monroe is given the assignment to eliminate two high profile ISIS leaders, he discovers dozens of children locked in rooms in the basement of a European villa. He enlists the help of Sarah, his socialite girlfriend, and together they uncover a pipeline that supplies child brides and terrorist recruits to ISIS. Just when he is about to close the case, Monroe is betrayed. No one is above suspicion, not even members of his own agency. 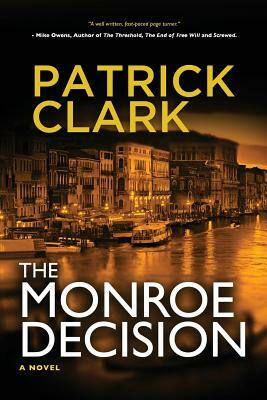 Filled with action and intrigue across the globe, the The Monroe Decision is a thrill ride that could come from tomorrow's news.